The shop doubles as a workshop and I love knowing, as I wander around gazing at a slew of things I could happily buy, that the mysterious alchemy that happens between hard metal, rough-hewn stones and Mette’s creative talent is realized in situ. I haunt the place. It is my first port of call if I am looking for a present. The name AMOC comes from the initials of Mette’s full name – Anne-Mette O’Connor. Mette is from Copenhagen and her interest in jewellery began at a young age, she was just thirteen when she did work experience in a jewellery shop. 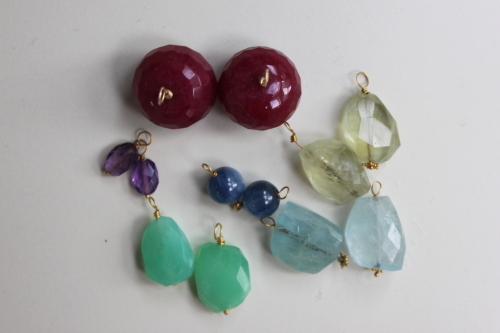 After Art College she worked as a trainee with a gemologist and she has a particular passion for gemstones. She is a gifted designer who works in an organic way with eighteen carat gold, silver and gemstones to produce singular, simple, flowing and timeless pieces. In the shop you will find lots of different items. Mette doesn’t keep on endlessly repeating a design, she prefers to make just a few examples, so if you buy something it will be fairly unique. As well as the ready to wear range on sale in the shop, Mette offers a bespoke service. 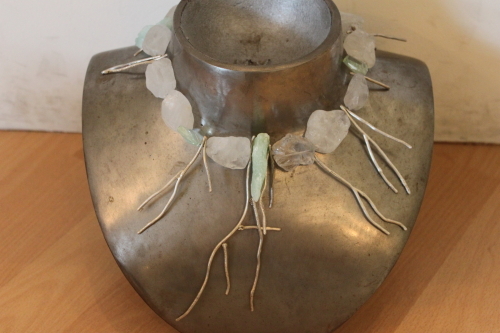 Some of the one-off pieces, which Mette makes, are best described as wearable art. 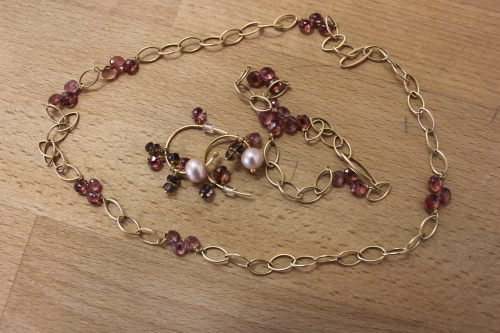 Many of Mette’s designs are versatile. 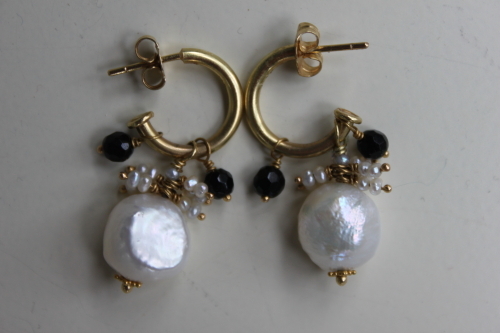 For example the pearls on the gold earrings in the picture above can be slipped off and replaced with other stones. So once the initial investment is made in the hoops it is possible to build up a collection of stones over the years. 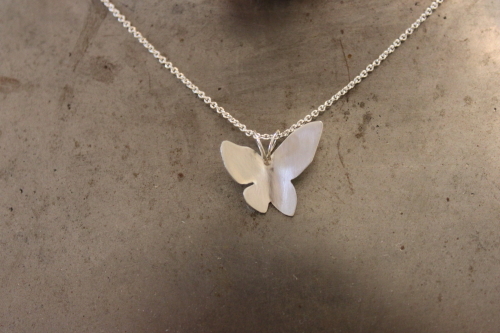 Just to give you an idea of prices the butterfly pendant with the silver chain is €100. There are some items in silver for sale at under a hundred euro. Pieces in gold are obviously more expensive. 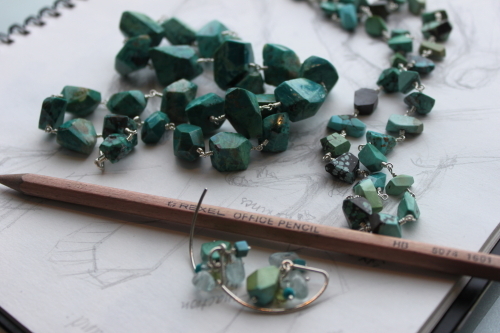 Note; AMOC Jewellery is on Church Road, Greystones, Co Wicklow, Ireland. Greystones is about 27 km South of Dublin. The web address is http://www.amoc.ie, you cannot buy online at the moment, but if you contact Mette by e- mail, mette@amoc.ie she will discuss shipping.